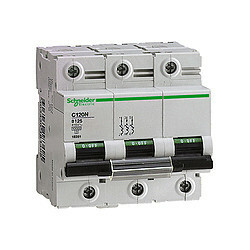 C120 - circuit breaker - C120N - 3P - 63A - D curve. Device short name: C120N. Poles description: 3P. Curve code: D.